In a town hall almost exactly two years ago when Donald Trump was running for the Republican presidential candidacy. He told the interviewer that he planned to be "presidential" when elected. He explained that this was a matter of tone, then went on to describe how he responds to attacks on important matters such as his hair:"But you know what happens? What happens is they hit me and I hit them back harder and, usually in all cases, they do it first. But they hit me and I hit them back harder and they disappear. That’s what we want to lead the country.” Well, at least the man has been consistent in his inconsistent way. This would be Donald Trump's version of the Golden Rule - if they smack you, smack 'em harder. No wonder evangelical Christians are such staunch supporters of Emperor Donald. He certainly knows and lives the teachings of Jesus! That town hall happened the day before International Golden Rule Day, which is April 5th. It is certainly (un)inspiring. Jesus did understand what we call the Golden Rule and understood that he hadn't invented it. It was a core value of his Jewish faith and can be found in just about every religion. 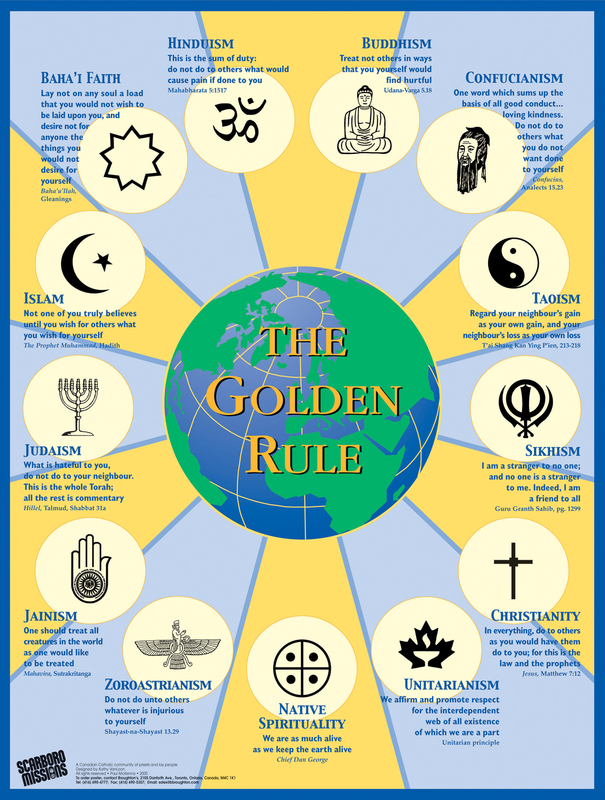 The Golden Rule is an antidote to raging self-interest and corporate greed and the sort of protectionist populism gaining ground these days. In case you haven't noticed, three of the most powerful countries in the world -- China, Russia, and the United States -- have leaders who have unapologetically maneuvered toward greater authoritarianism. 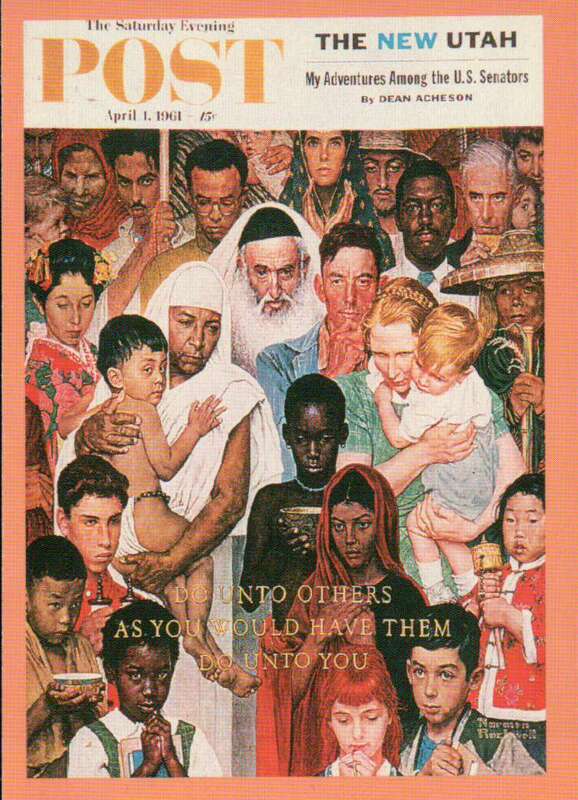 It's as important now as ever to repeat and live the Golden Rule. I like the notion that we express this in our personal relationships, between religions and countries, and in our treatment of the natural world.